Noah Gragson famously wrecked it while seeking the lead at Dover International Speedway. An inch in the wrong direction and it was over. Gragson slid down the back stretch, across the apron, up the hill and into the wall. The fastest truck in the field was totaled following a side-draft gone wrong. The very next week, he re-bounded with victory. Did you come into this week with something to prove after Dover? 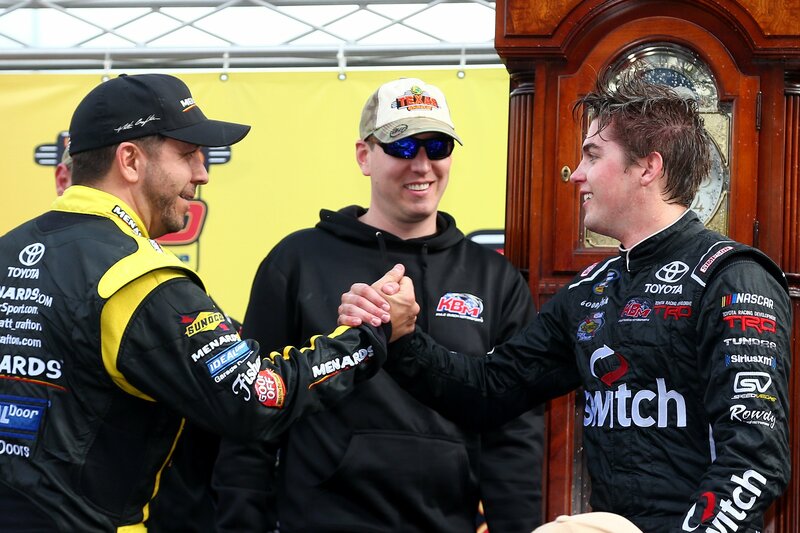 The last time Noah Gragson went to victory lane he ended up puking. That happened behind the safer barrier and in front of the crow at the start finish line of Martinsville Speedway. It’s a bit of an issue. It happened just after he climbed the fence at Martinsville. At Kansas, he also climbed the fence. The same situation almost repeated itself all over again. Did you get close to puking this time?